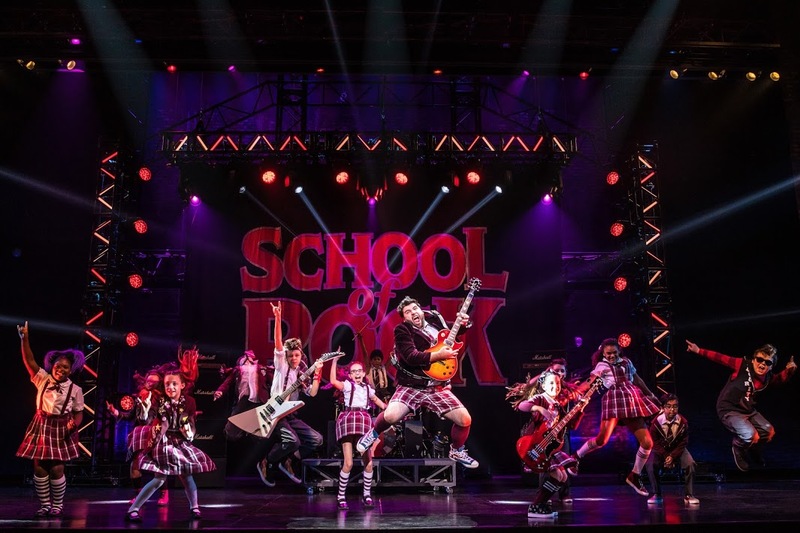 Review “School of Rock-The Musical” (Broadway in Chicago): Unexpected Depth and Breadth! 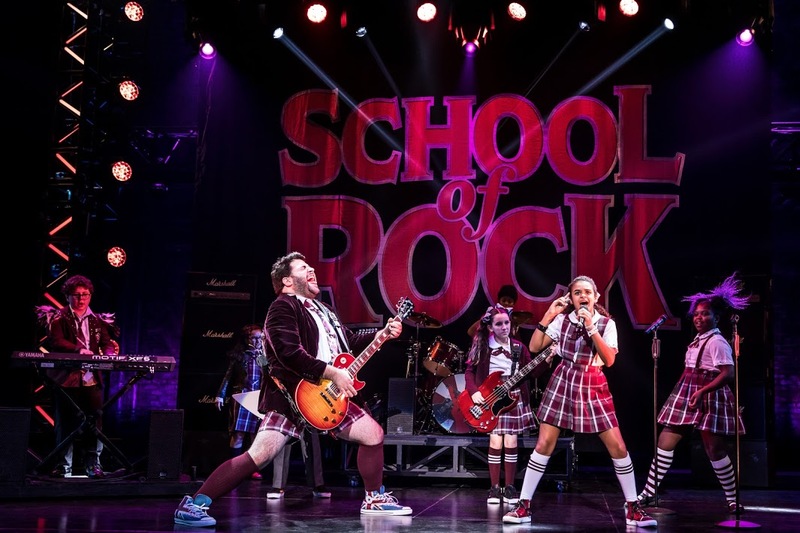 Broadway in Chicago presents SCHOOL OF ROCK – THE MUSICAL for a limited three-week engagement. I’m a huge fan of Jack Black and his antics as the focal point of the 2003 film School of Rock. So, I was cautiously optimistic about a show duplicating that fun sans Black. SCHOOL OF ROCK- THE MUSICAL is unexpectedly great. Julian Fellowes (book) adds plenty of depth to the story. Although Dewey (performed nicely by the zany Rob Colletti) is still the central plot, Fellowes surrounds him with engaging kids. These kids go to an elite school meant to escalate their transition to successful adulthood. Their parents and teachers think they have it all figured out. But in the beautifully searing “If only you would listen” (music by Andrew Lloyd Webber, lyrics by Glenn Slater), we learn these kids aren’t happy. They are lonely, scared, stifled and unsure who they are. The children’s ensemble tethers us to their vulnerability and their talent. The shift to showcase the kids doesn’t just work, it rocks! Under the direction of Laurence Connor, these kids are amazing. They sing. They dance. They rock. And some of them are even jamming down on instruments. An animated Gilberto Moretti-Hamilton (Freddy) hitting the sticks with zest. An adorably unassuming Phoenix Schuman (Zach) and subtly badass Theodora Silverman (Katie) amp up the volume on guitar. All the kids lend voice and attitude to the musical numbers. “Stick it to the Man” is an upbeat anthem. The kids pound fists, jump high and ignite their revolution. It’s fun and uplifting! Its the kids vs the adults. And these kids are clearly the winners! Two other notable standouts are the hilariously, self assured Ava Briglia (Summer) and the powerhouse songstress Gianna Harris (Tomeka). As a big kid himself, the energetic Colletti is all over the stage as he convinces his students to form a band. Yet, it’s his interactions with the principal (played by the outstanding Lexie Dorsett Sharp) that adds unanticipated breadth to his persona. Sharp is prim and establishment. Colletti is rock and roll. Their interactions are the clash of the opposites. The twosome banter with perfectly matched comedic timing. After Colletti hears gossip about Sharp’s affinity for Stevie Nicks, he coerces with beer. When Sharp belts out the soulful “Where did the rock go?”, she captivates the audience and Colletti in her intimate reveal. The hint of romance is as surprisingly sweet and satisfying as when a rock star sings a love ballad. 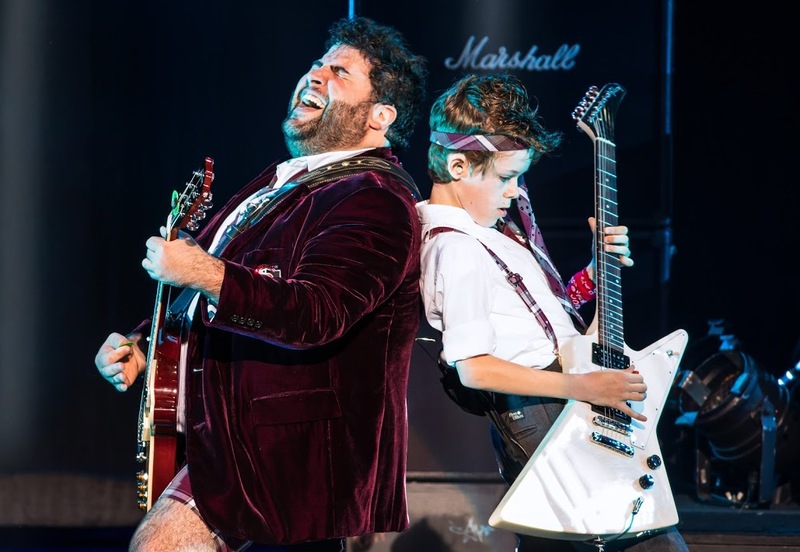 SCHOOL OF ROCK-THE MUSICAL is heart-felt fun! The uplifting connection of kids to an adult and later adults to kids is appealing at any age. 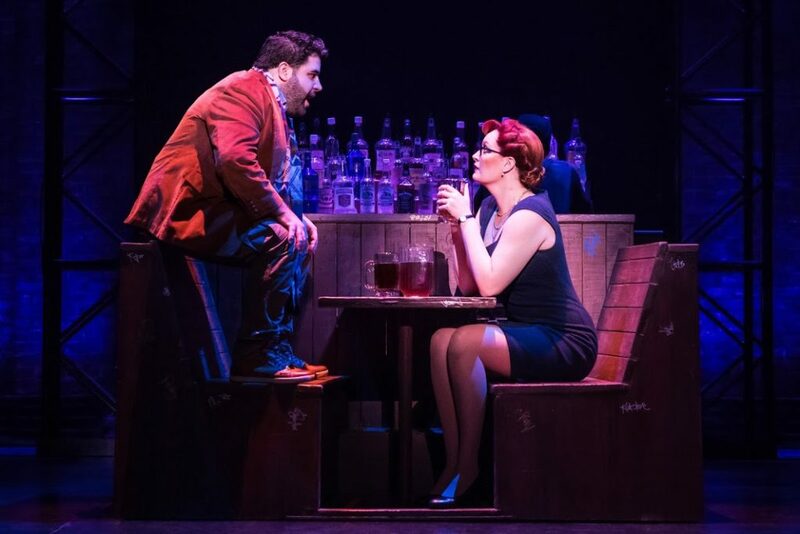 The anti-establishment comedy and rock music give it an edge to more schmaltzy musicals. And Fellowes’ storylines gives it wholesome poignancy for a family-friendly experience. I highly recommend going to SCHOOL OF ROCK-THE MUSICAL.